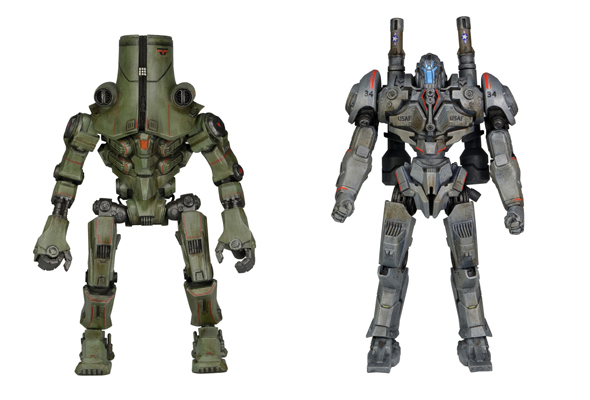 Shipping this Week: Pacific Rim Series 3 Jaeger Action Figures! 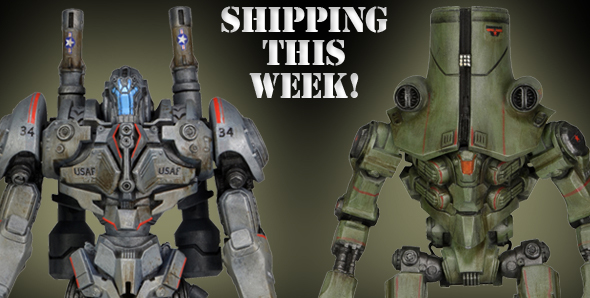 You are here: NECAOnline.com » Blog » News And Announcements » Shipping this Week: Pacific Rim Series 3 Jaeger Action Figures! When Kaiju arrive, the Jaegers aren’t far behind! Arriving just in time to battle last week’s shipment of Series 3 Kaiju figures, massive Jaegers Cherno Alpha and Coyote Tango make their first appearance in our line of Pacific Rim action figures! Check out the details below, and be sure to visit the product page for more photos! The #1 selling Pacific Rim toy line continues with this brand new assortment, featuring two all new Jaeger figures available for the first time! Russian Jaeger Cherno Alpha stands nearly 8″ and features over 20 points of articulation and incredible detail. Japanese Jaeger Coyote Tango stands nearly 8″ tall and features over 20 points of articulation, including movable mortar cannons that slide on a rear mounted track. Both Jaegers are created from the actual digital files utilized by ILM in the creation of the film. Bookmark the NECA Events Calendar, Like us on Facebook and follow the Official NECA Twitter!